Today, April 28/29, 2014 (11:14 pm PT, 2:14 am ET) we have a new moon solar eclipse in the earthy, yin sign of Taurus. 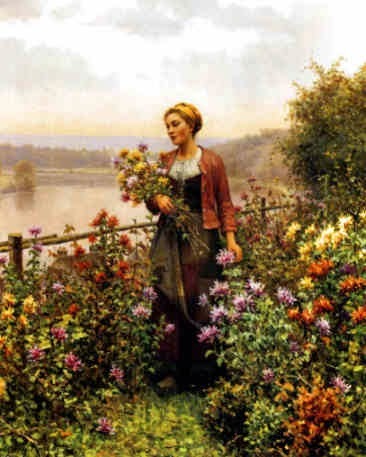 Taurus is a springtime earth sign, the sign of the Bull, ruled by pleasure-loving Venus. 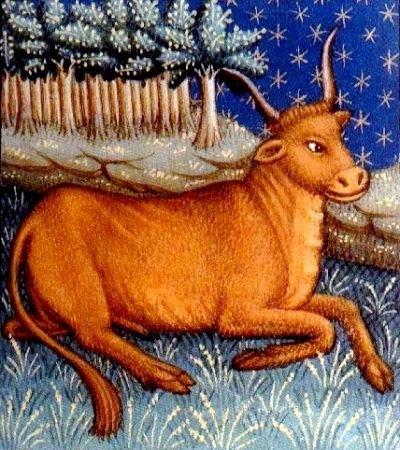 Taurus can be a placid, grass-munching bovine sauntering across the flower-dappled hillside. And fixed earth sign Taurus can be stubborn and testing with its “dig-in-your-heels” nature, unmoo-ving like a Himalayan mountain. One thing's for sure: Taurean energy is ultra-grounded and celebrates the sensual, material realm of maya, mata, mater, matter…Earth Mother. Pachamama. 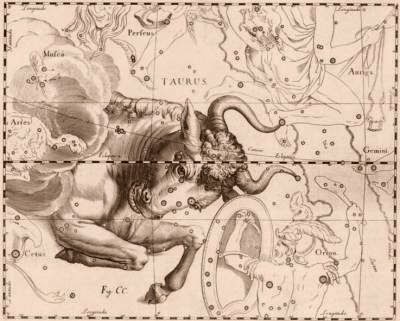 In the days surrounding the New Moon in Taurus, our six senses are drawn to the physical, embodied realm of our lives: what we have, what we desire, what makes us happy. This is, of course, an individual preference, this question of pleasure. For some of us, a fridge full of fresh organic veggies or a home-cooked meal with friends means the world to us. For others, we won’t feel full-filled until we see our bank account burgeoning with gold. Preference. What does Satisfaction mean to you? Usually with New Moon energy, we’re planting new seeds and new beginnings. And that is the case here, too; however, the “something new” that wants to come through now is going to be a bolt from the blue: With a solar eclipse, we can expect the unexpected. “SURPRISE!” shouts the universe, like a big party thrown out of nowhere. I had this last night, right around the eclipse build-up: my housemate had two unexpected visitors come through, feminist friends she hadn’t seen in years. These two earth women-of-the-land (one with a Taurus Moon, I found out) were driving their RV from their Mendocino home base to tend to a farm in Ohio, by way of the Arizona desert. They needed to park their rig outside our house in the hills for the night. I was tired from a long day, but intuitively I knew that it was best to participate, not bow out. After all, “The guest is God/dess,” as they teach in the East. Our communal household spontaneously cooked up a big veggie stir fry using a heap of kale, coriander and chard from our popping garden. Another earth-mama pal stopped by in the middle of it all: a gypsy female singer-songwriter who played her latest music video for us, "Older Ladies!" 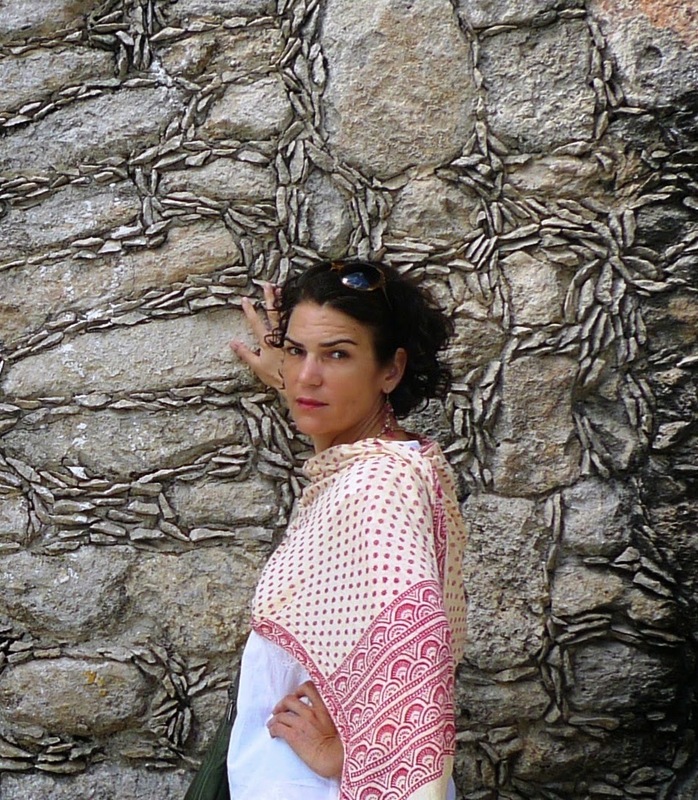 which celebrates the beauty and vitality of women past menopause. (Taurus also rules the throat, and singing.) During dinner prep, we were surrounded by the animal element, our guests' three huge dogs: a gigantic standard poodle, a vicious Anatolian shepherd in heat, and our lovable black lab mutt. While we were enjoying our meal, the three dogs were running circles around the house having their own fun: playing tug of war with a kangaroo skin provided by my Aussie boyfriend. After supper: fresh strawberries and mango with vanilla yogurt for dessert, served alongside Bengal Spice tea. The night was topped off with a few laughter-filled rounds of gin rummy (with actual hand-held cards, people!) at the kitchen table. Dishes done and good-nights given, I finally rolled into bed next to my sweetheart, satiated and exhausted with the juiciness of life. And that’s why your forecast is a wee bit late today! There are worldly pleasures you can plan for – a week in Hawaii, a night out with your friends, a spa massage. And then there are earthy pleasures that arise out of nowhere. These are often the best: their only requirement is that we remain open and ready to the goodness that flows our way, like an impromptu dinner gathering. 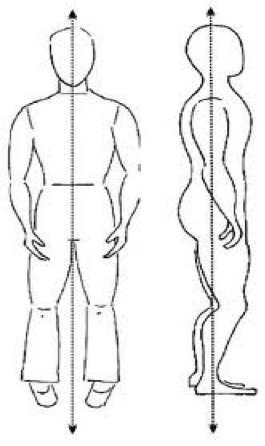 There is a Chi Gung (qigong) practice called Wu-Chi (wuji) that describes this posture of RECEPTIVE BEING: passive and active at the same time. Wu-Chi is a martial art posture that ensures you are ready and prepared, but not wasting energy or expending it until it is time to do so. 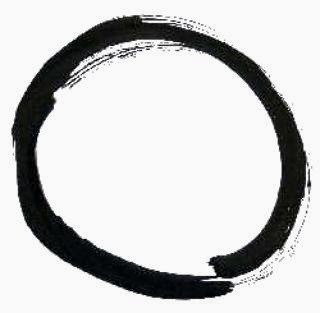 Wu Chi is a Taoist term that means something akin to “the emptiness within which fullness flows.” It is the emptiness full of potency, and is similar to Mountain Pose (tadasana) in yoga practice. Both postures create a flow of energy from root to crown, up the spine. It starts in the feet and flows out the top of the head to return and renew, again and again. During the New Moon solar eclipse in Taurus, we can expect TO RECEIVE - and give - the unexpected and it will more than likely have to do with material pleasures, comforts, or adjustments. It is a good time to internalize the philosophy and practice of Wu-Chi (or tadasana – mountain pose – if you’re a hatha yogi). 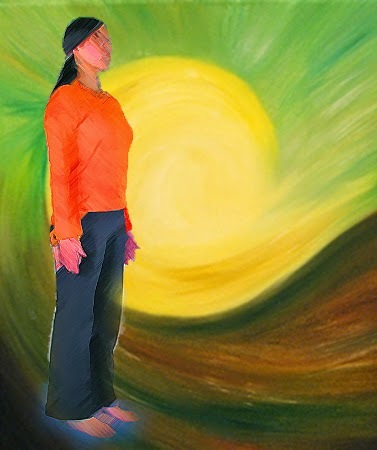 This mental and physical posture of potent, expectant, and aware receptivity will empower you to receive the gifts coming out of nowhere, headed in your direction, and assist you to not be blown off course. Whatever pleasures arise and pass away: no good, no bad – It simply Is. If you love these forecasts, why not show your support by signing up for a monthly automatic donation on the website – it’s good karma! What is coming up for YOU at this NEW MOON time? Contact Erin for personalized psychic guidance using the Tarot or Astrology – your choice! Notice how abundant we are in every way! You may have a full belly, a home, a garden, a dog or cat, a mate or partner, a vehicle or gilded chariot, meaningful work or an interesting project – look around! See all that you have. You want “more,” you say? Wow, well, that’s a tall order. How do you add fullness to fullness? 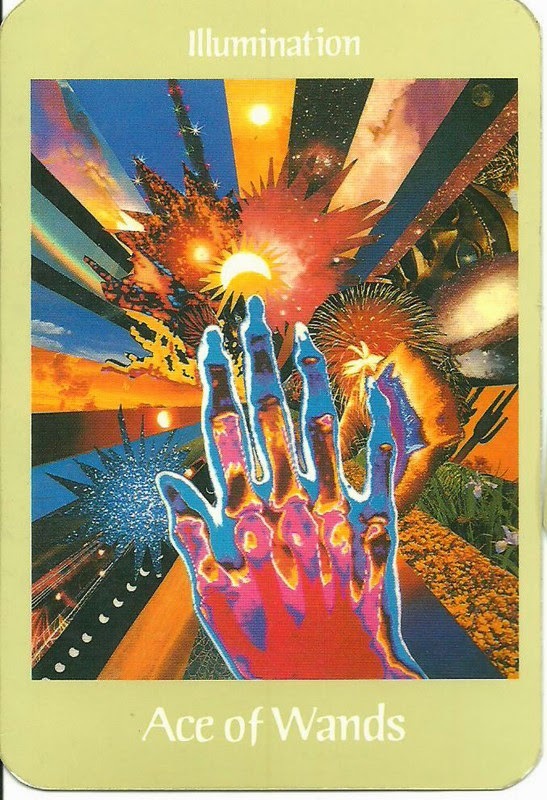 Everything is already here, at your cosmic fingertips. Remember that wherever there is a true need, the Universe provides, and so it is. A masterful person knows this. Now is the time to notice that we have PLENTY and it’s time to use and distribute what you have. Share, and delight! So you want to hit the road or climb a virtual mountain, Ram? Your personal gold now comes to you through being on the move in some way, on a quest. You need to pursue your next idea now. Go toward your flashes of brilliance. Get going, as you’re already feeling revved up and ready to pursue! “Sittin’ on the dock of the bay, watchin’ the clouds roll away… mm-hmm.” That’s you now, Taurus, resting and enjoying. Maybe you don’t feel motivated to action right now. Or you’re skeptical as to where to put your time and energy. No worries. Just wait calmly and know that a voice of authority – either your own or another’s – will soon come through to advise you as to the best use of your talents. In the meantime: practice wu-chi. Your nervous system is easily fried, buzzy Gemini. You’re always on the go, go, go and usually you’re interacting with a phone, computer, or a person, talking their ear off. You’re getting more information and your synapses are firing all the time. Great! But now, you need to decompress a little. You need to sit by, near, or in some body of water, bath or spa. You need calm. Step away from the adrenaline edge by nursing your frazzled brain back to health. Communication is not always a strong suit for you, Cancer. You get a bit hung up either by your uber-sensitivity, or you find yourself clobbered by internal criticism. Externally, you can’t seem to get the Truth of what you want and need out of your mouth. Now is the time to be gentle with your self and others, remembering that you’re still learning the art of negotiation and holding difficult discussions, especially when it comes to meeting your material needs. Leo, you’re in the catbird seat right now. Make your big material money idea or goal explicit to the universe and do a little ceremony of acknowledgement. Write down on a piece of paper exactly what you wish for, and offer it up to the angels, to a deity, God, or even a tree. See how within the next nine days your desire is granted. Trust! Sometimes, Virgo can be overly focused on what isn’t right or what needs improving. You may be harping on how there’s imperfections that are driving you nuts! If this feeling arises of late, you need to get back to the Source within, the eternal flame that never disappoints. Make a spiritually rich connection to bolster your heart and mind. 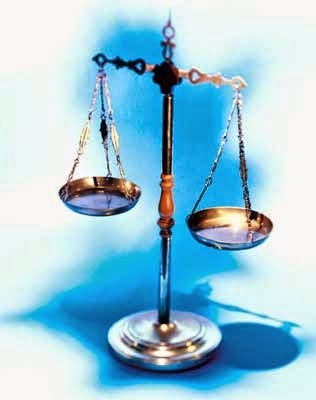 Libra, you can be so concerned about what others think, and about looking good and having things be smooth as silk. We love you for that. But the choices that you makes toward that end can be binding or limiting instead of balancing and healing. Be willing to say no to external expenditures of time, love, or money that unnecessarily keep you indebted. You have access to so much raw life force power, Serpent Eagle Scorpio, that you rarely feel doubtful of your capability to have what you need. But for some reason, lately you’ve been questioning, “Is there enough?” You bet there is! You only need to dig in the dirt a little deeper. Have confidence. You will unearth buried treasure. 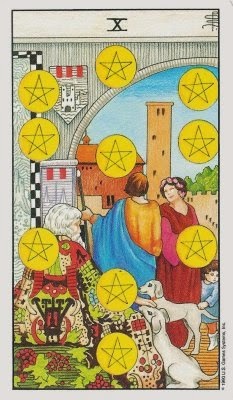 You are not, by nature, a super materialistic sign, Sag, yet you know you need enough funds to keep playing and affording all those great adventures you adore.You will see now that there’s plenty in them thar coffers if you just tweak your spending and accounts in slight ways. This spring and summer offer you loads of fun and you can take the time and money to make that happen. Vacation, anyone? You’re feeling more impulsive and mentally restless than usual, Capricorn, and that’s because you’re meant to get out and about more. Move around your neighborhood, community, and world. Disperse all your pent up practical mind power and exchange new ideas and energy with other people. You’re filled with hot air that needs to be vented. Sweetness ‘n light – that’s the theme for you now, Water Bearer. Perhaps you’ve recently been through the mill, or you’ve endured a huge bout of change. Or you’re prepping for a big future move. Or you’re cleaning up the past. Regardless, it’s been a lot of work and you’ve been on the front lines of consciousness. Take a load off now, Aquarius, and nurture the sweet, creative joys of your inner child or artist. Your mind is in a fragile state. Have you been in too much busy-ness of late? Take time out. Get a four-day weekend in. Take a holiday soon. Maybe you can take a four-month sabbatical if you’re a lucky Fish. You need to rest, big time. Find a way to turn off the phone and the world for at least four days. Particularly stressed and busy Fish? Take a four-hour spa treatment. Only rest. Did you know it takes many, many hours to prepare these forecasts? If you want to receive them, why not show your support by signing up for a monthly automatic donation on the website – it’s good karma! Today, April 15, 2014, we have the presence of a full moon total lunar eclipse in the sign of Libra. This is a very intense time astrologically, and folks who are interested in such matters have been flooded with information about the "blood moon." In fact, I did wake up en pointe at the exact time of the eclipse last night (~12:42 a.m. PT) and went outside to pay respects to La Luna. While the Moon Herself was a bit hidden by haze, I could see the eclipse occurring. More striking was the blood-red-orange tint of the sky. I felt like the Heavens were bleeding out their very own stigmata in honor of Passover, Easter, and the promise of rebirth. There is so much being said about this Full Moon that it’s hard to pare it all down and focus. This April's harsh grand cardinal planetary criss-cross can literally make us feel like Christ being crucified on the cross - and with eclipse energy to boot, the impact is even more potent. But really, all eclipses are about change – and they turn the tables in life so that we can get on with the show of our lives, to play out a new act and scene. During lunar eclipses, change often involves loss, sacrifice, and sometimes pain. Periods of planetary evolution like this don’t come along many times in a lifetime. What is coming up right now is powerful and it will peak through Easter week. 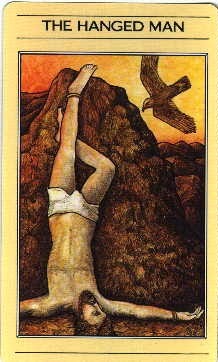 Again, if your life feels turned upside down, symbolically stand on your head: willingly be the Hanged Man or Woman and enjoy the new point of view. After all, the eclipse is in the sign of relationship and other-oriented Libra, so trying out another perspective is part and parcel of this energy. The only way out is through an eclipse period, and with Libra involved, the best way through this time is to Love and Be Loved. Love ourselves through this change, first, and be gentle with ourselves as the evolutionary tides shift. Luckily, we have Neptune, Venus, and Chiron all in Pisces right now, forming a nice conjunction of unconditional love and compassion to help us through this time. Forgive others, and forgive yourself, for there is nothing to be ashamed of. Drop any and all resentments for it is just not worth holding onto anything that has outlived its purpose - let go and let G.O.D. (good orderly direction, if you will) handle it. The alterations being forced in our external and internal beings may hurt deeply. Shifts that occur now may even affect generations to come! That is how strong the grand cardinal cross in the sky can impact us. So keep all this in mind over the next week – whatever is happening is not just about you, it is also about your family, your partner or lover, your society, and your future. My sense is that we are being called to move toward commitment at this time, not away. Even if it's unfamiliar and uncomfortable at first. Perhaps it is time to more readily embrace the other. Maybe that commitment is to yourself, or maybe it’s to your partner, project, or even your business partner. But it is a time to say, yes, I am willing to show up for you in this way. I can be in a harmonious, symbiotic relationship with you, my lover/roommate/boss/friend. This commitment will be a great teacher in your life. 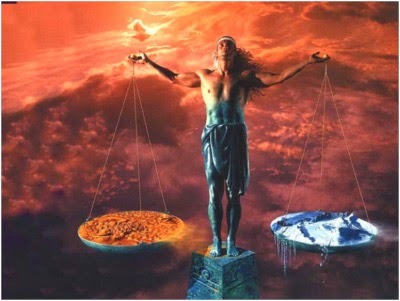 Libra is about balance, of course, being the sign of The Scales. Witness how the changes crunching their way into your life right now are bringing you back into balance, or a new equilibrium. I studied Environmental Science at university, and one of my favorite principles of ecology is how natural disasters (external, uncontrollable events or “acts of God”) bring an ecosystem into a new equilibrium. It sometimes takes a very big push – a tsunami, earthquake, forest fire – to get that landscape or animal population into a new balance. And that’s what’s happening now with the Full Moon eclipse in Libra this week. Sure, wreckage may come through your life, but perhaps it will make room for a new growth. You may lose a job, a beloved, a project, a dream. But see how those new green shoots come sprouting out of the earth in no time at all. The canvas of your life can be cleared to start a new masterpiece. The landscape of You is back in balance – in a completely new environment within and without. Thank Nature. Let whatever blows out of or through your life this week simply BE the CLARITY you have been awaiting for ages! It can be a real breath of fresh air. Isn’t the word “no” or “never” better than not knowing? Use this crystalline clear information to allow you to come into a new balance. You will get clear on whatever it is that you truly need. Your soul knows before you do – and that will be revealed to you this week. Cosmic forces are playing their hands now, Ram. You like to operate from your powerful self will but your wise side also knows that certain things are, quite simply, out of your hands. Like the weather. While you can wear a sunhat when it’s scorching out, or carry an umbrella when it rains, some preparation is useful, but some things are simply beyond your control. Be in awe at the power of Life itself. Create. You are excellent at manifesting whenever you put your mind – and handiwork – to task. At this full Moon, your vision will radiate and you will bring into form whatever it is that you’ve needed to alchemize into balance. It could be cash, commitment, or a creative expression finally bursting forth. Take this energy of change and run with it, Gemini! No more waitin’ around for ducks to get themselves in a row. FOCUS. Something has been taken away, or is in the process of being removed from your life. This is making it very clear that you now have ZERO EXCUSE to climb your personal mountain. While it hurts to relinquish X, Y, or Z, in your heart of hearts you can be assured that the Universe has your back and now you can get on with it. It is time for you to offer some of your hard-won life wisdom to your family and closest community members. Have a gathering soon in your home, a circle or celebration or ceremony to honor wisdom you carry. Share it with us. We need your special blend of sage presence and warmth. Keep up the efforts to get your life into balance, dear Leo. Whether you need more love, play, work, or fitness in your life, you have been trying all sorts of combinations to get into shape and balance, and this Full Moon eclipse is definitely going to provide you with a missing link. Are you clear, Virgo, that your hard work and focus are leading you to more of what you want and/or need in life? You have the drive to meet a new goal in life and this Libra eclipse will definitely give you clarity on what type of relationship(s) support you – or not – in your life. Yes it’s true: all eyes are on YOU and your identity this week. So why not use it as a springboard to give your life image and how everyone sees you as a complete upgrade opportunity, e.g. "Libra 3.0"? You know you’re getting a new O.S. and it’s time to launch. Trust: it will be a good thing! My sense is that some old devil is rearing its head in your subconscious. Shadow play will occur for you during this eclipse time, Scorp, and that’s a good thing because you can finally see the demons in your closet as that illusions that they are. You can show them you are bigger than they are by shining the light of your consciousness into your subconscious basement. Have courage. Face ‘em; they won’t have power over you. Let renewal come to you by relinquishing a bit more of your independence or sense of superiority. Let the community of people, animals or world family be your refreshment. You have an abundance of goodness in your life and you know that it isn’t one single relationship that gives you joy: it’s the big picture. POWER to lead others is needed right now and at this time in your personal history, it’s time to step up to the plate. You’re going to be called to responsibility to share all that clear wisdom you’re carrying. The good spiritual values you carry in your heart, body, and mind need to be expressed to your community. You are an authority and it’s time to wield right use of power. Cutting through can sometimes require sharp edges, and sometimes stings and knives, to get to the point of your purpose and you have the ability to trust that even when you’re emotionally challenged or stressed, you can keep going. As a Water Bearer, you’re especially attuned to letting the light of Truth reign in your world and let that be an inspiration for the rest of us. All denial will be revealed during this Full Moon in Libra. Where in your life have you been conveniently been sweeping something under the rug? Maybe it’s financial or sexual or something taboo – and now it’s out in the open. Don’t lose faith; you know now what you’re facing and that is the most empowering thing! Welcome the truth. The cat’s finally out of the bag.